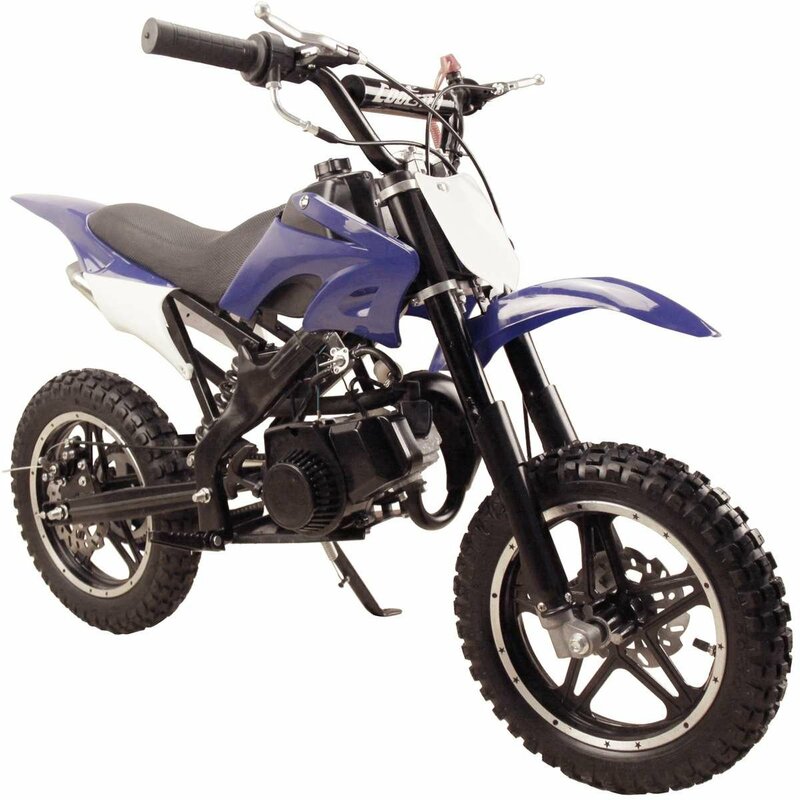 Perfect for taller kids, the Coolster 50x mini dirt bike looks like a full sized dirt bike! The Coolster 50X differs from the Coolster 50 in body style and tire size. Coolster provides great features like front and rear disk brakes , a full suspension and kid-friendly size. The QG-50X is powered by a high performance, 2 stroke, air-cooled 49cc engine designed to be as strong and powerful as it is durable. The tough steel, welded frame rests on a heavy-duty suspension and light weight alloy rims for optimal handling on off-road terrain. The automatic transmission is the perfect way for kids learning to ride. Check out this Coolster QG-50X Dirt Bike Video below. Coolster QG 50X 49cc - WWW.BIKE.CC from Bike.cc on Vimeo.